On this family-calendar for one month you can indicate on which day there are certain activities for every family member. Such as sports, hobbies, events, parties, homework, tests ... etc. 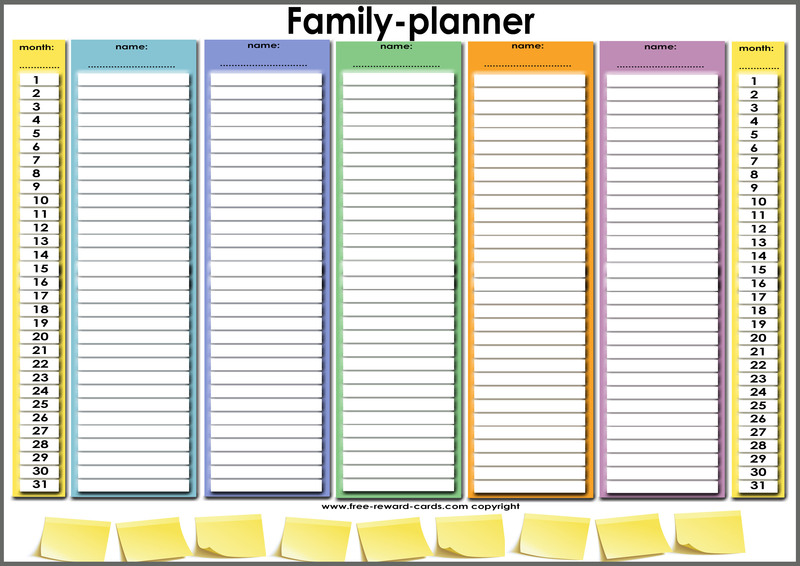 This family planner is free printable.